A Captain in the Czechoslovak Air Force, Jo Capka escaped to Poland following the Nazi invasion of Czechoslovakia on 15th March 1939. 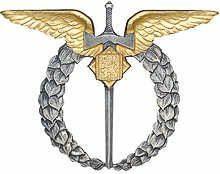 Determined to continue the fight, he joined the French Foreign Legion where he experienced the cruel discipline of a Legionnaires life under the blazing heat of the desert. Relief came with the declaration of war and secondment to the French Air Force, but when France was over-run Jo fled to the South of France where at Bordeaux he joined a group of Polish Airman on a ship bound for England. 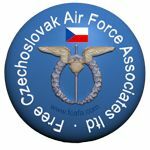 Jo now joined the RAF and was posted to the newly formed 311 (Czech) Bomber Squadron. He flew 56 bombing missions in Wellingtons and was awarded the DFM. Jo later switched to fighters, but returning from a patrol over Normandy in June 1944 his Mosquito was machine-gunned by a ‘pirate’ Liberator. Blinded and severely injured in the face, Jo held one eye open with his fingers to see enough to crash-land in an English wood. He was treated by the pioneering plastic surgeon Sir Archibald McIndoe, becoming a member of his ‘guinea pig club’. After the war Jo returned to Czechoslovakia with his wife, a former WAAF, to run a flying school. Following the communist coup in 1948, he was arrested as a British spy and charged with High Treason. Jo spent 7.5 years in prison, 14 months in solitary confinement, and was only released after the death of Stalin. The story concludes when Jo is finally permitted to return to England, and rejoins his wife on 30 May 1957. This entry was posted in 311 Sqd, Autobiography, Books, Victim of Communism. Bookmark the permalink. I knew Jo when he was working at Harold Hill as a fitter and foreman. I knew that he was a “guinea pig” and a wartime pilot and read his book, borrowed from the library. I was always struck by his modesty and kindly character and lack of bitterness from his terrible experiences during and, more especially, after the war. Horrifying! He was an excellent colleague and I was proud to have known him even briefly. I was telling my son about him last Christmas and he presented me with a copy of “Red Sky at Night” bought off the net. I have re-read it and it brought back a bundle of memories. We live near an old veteran, drove the first landing craft ashore at Sword beach I believe who returned the book to me today with the words “what an amazing man”! So true! His family should be very proud of him and Rhoda, who fought and supported him so bravely and steadfastly during his captivity. Hi Laura and Andrew, as a relation to Jo, do you know if he and Rhonda had any children? My Uncle worked with Jo and introduced me to the book (he has several copies) just a few months ago…I just picked it up to read and couldnt put it down. I’m interested to track down the publisher as well. Thanks, Andy. My father also worked with Jo at Eastern Electricity and I met him on several occasions when he and his wife, Rhoda, came to our house for dinner. He was a kind and caring man. 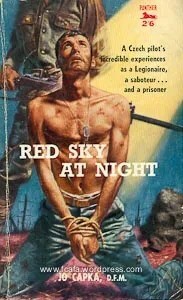 My brother has the book ‘Red Sky at Night’ and is trying to get a copy for me. Jo Capka is my great uncle, we have this book at home and its a fascinating story. If anyone has any stories, I would love have a chat. I was Jo’s boss at Eastern Electricity Board Romford where he was a senior Foreman in the Operations dept. He saw an Airfix model of a Mosquito on my desk (for my son) and mentioned that he flew that aircraft. Later, he recounted his incredible experiences to me when we were on a night repair job. Two weeks after that night I was called to an electricity substation, where Jo was found, unfortunately dead. I had the task of formerly identifying him at Harold Wood hospital and later (accompanied by a policeman) to break the sad news to his wife. The post mortem revealed he had died of a massive rupture to the veins of his heart. We owe a great deal to the brave people like Jo who gave so much. I am attempting to obtain a copy of his book “Red Sky at Night”. I often think about Jo and that night when he recounted his incredible experiences. I have just brought this book for my dad.As he worked with him in Romford for the eastern electricity board.And he told my father lots of great story’s.I am sure he will enjoy the book. Please re-print this! I want to read his story.